I had been dabbling in other methods of "Natural Horsemanship" prior to contacting Carolyn, but none of it resonated with me, or Apache. After contacting Carolyn about hosting a clinic here in Costa Rica she explained that she did not travel internationally, but that one of her certified instructors would be happy to come. I called the instructor and she agreed to come and teach a clinic here in Costa Rica. I was elated and in February of 2015, we held our first clinic in the Waterhole Rituals at my ranch in Costa Rica. It was magical to watch the instructor work with these shy, detached rescue horses who did not trust humans. She commented that these were by far the most difficult horses that she had ever worked with. Participants also worked with the horses each day. Slowly but surely we made progress. By Day 5, all the horses were enjoying The Waterhole Rituals and could hardly wait for their turn in the arena. 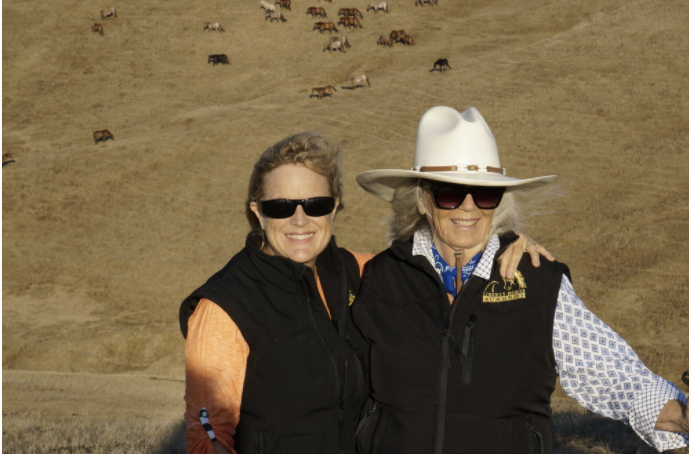 It was suggested that we should make the arena the "sweet spot" which is better than anywhere else on that ranch. It is a place where the horses can feel safe to explore, participate, and connect if they so choose. I think we accomplished that goal! After the clinic ended, the miracles continued. Much to my surprise the next day, I discovered that Apache had jumped a fence to get to the "sweet spot" where he stood patiently waiting for me to come out and play with him. Each day my horses now gather around the arena as they wait their turn to play. After the clinic, I continued to work with my horses at Liberty in The Waterhole Rituals. I took Carolyn's online Waterhole Ritual course, as well as numerous Waterhole Ritual private and public clinics. During this time I began to feel a shift happening within me, a greater sense of peace and a deeper knowing of myself. I quickly realized that I wanted to make this my life's work. Teaching is in my blood and I knew that it would not be easy to master this method, but I was determined to show Carolyn Resnick that I would be beneficial to her program as an instructor! Over the next few years I developed a deep bond with my horses and magic began to happen. Soon, I was dancing with my horses at Liberty! The were loving it and so was I. Studying under Carolyn has been an amazing experience and I finally found my happy place. This is my true calling. Carolyn is brilliant and so much fun to work with! For the last 10 months she has been mentoring me and after much practice and determination, Carolyn asked me if I would like to teach her method! Of course, I said YES! It was definitely meant to be, and it just goes to show that dreams really do come true! For me, it has not been about the destination, but about the journey! I am loving the path I am on and love sharing my experience with others. I hope that if you are reading this that you will take the journey with me!